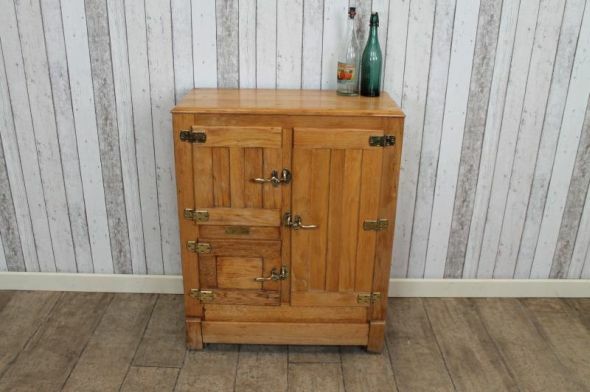 A fantastic example of a circa 1910, Edwardian ice box fridge. This item would have initially been used to store lumps of ice and to chill items. As you can see, this piece has been used in a kitchen environment. It would make a fantastic feature in any farmhouse kitchen to store fresh produce and wine etc. It is in excellent condition for its age and still features all of its original handles and brass hinges.